Electron scanning microscope image of a bee head. Credit: Dr Robbie Girling. 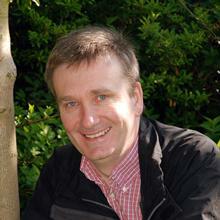 The work is published in the Journal of Chemical Ecology and was funded by the Leverhulme Trust. 1. 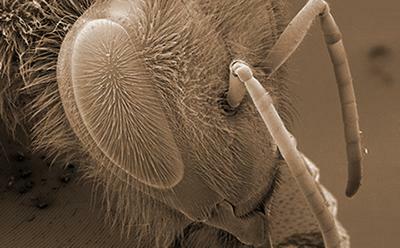 The attached image shows an electron scanning microscope image of a bee. Credit: Dr Robbie Girling. 2. A copy of the paper ‘The Effects of Diesel Exhaust Pollution on Floral Volatiles and the Consequences for Honey Bee Olfaction’ J ChemEcol DOI 10.1007/s10886-015-0624-4 is available from Media Relations on request.